interactive small group classes in a student-centered learning environment. * Grade is based on upcoming 2019-2020 academic year. results and their academic goals. Affordable tuition and monthly payment. Class schedule is subject to change. 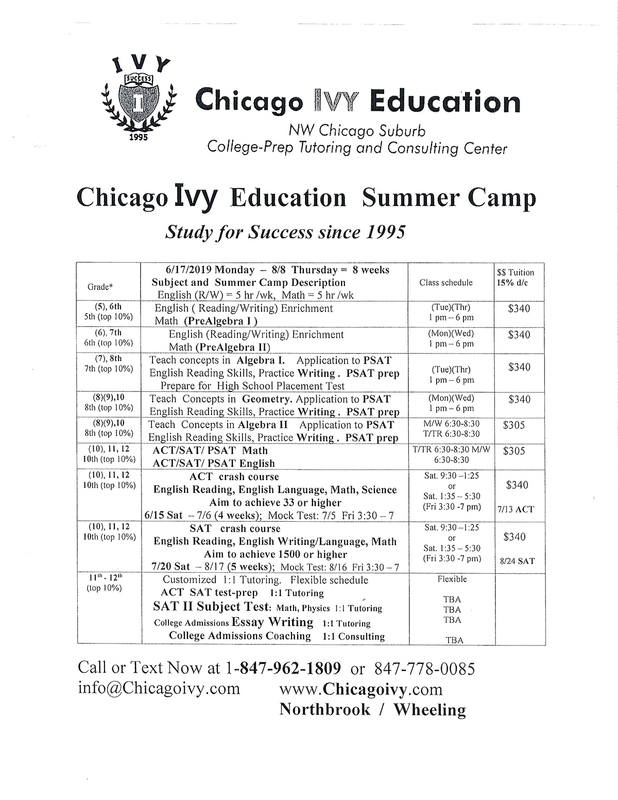 Ivy’s SAT ACT crash course for ensuring your test score improvement. and writing their admissions essays from brainstorming to polishing their unique stories. We provide personalized strategic college planning and admissions consulting.